My boys haven’t been the biggest risk takers or thrill seekers, which is fine with me. Yes they love to play sport, but it always takes them a bit of time and encouragement to climb the wall climbing wall or go down the big slide. Tyler is a bit more open to going on rollercoasters then Lucas, but it will come. They are who they are and I’m not going to push them to do something they aren’t comfortable with. I will however, encourage them, help them gain their confidence and be there every step of the way should they chose to do something a bit our of their comfort zone. Scooters are something they have been playing on for years, but only recently have they asked to go to a skate park. There are a few in the town we live, both indoor and outdoor. Indoor are preferable most of the year with our delightful weather, but it is good to get into the great outdoors and have some fun. This year for his birthday Lucas is asking for an MGP scooter. It had to be that kind, as it was the one he used when he went to his first ever skate park party. He loved it. Yes he got hurt, even burst his lip, but it was never about getting hurt, he was fine with that. It was all about stepping out of his comfort zone and he did. For his birthday he is getting his first stunt scooter. Something similar to a Madd Gear Pro MGP Kick Pro II Scooter in Sky Blue, pretty isn’t it? He already has the helmet, knee and elbow pads, but I am thinking of getting him gloves. Do you think he needs them? 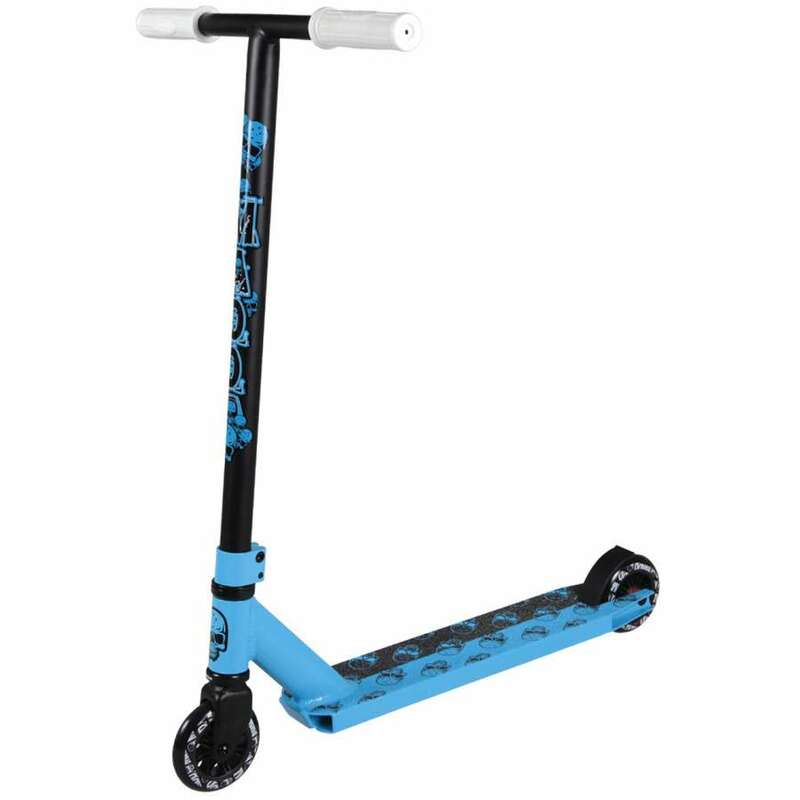 This size of Madd Kick Pro scooter is a great beginner scooter for those staring to use the stunt scooters. It’s lightweight, but sturdy. Looks great and has grip tape. Plus the bars spins 360′ which I am told is a necessity. Shhh don’t tell me anymore! New Fresh Tubular Alloy Extruded Downtube – offering strength without weight! Tyler looks up and idolises his big brother, so he too has asked for a scooter for his birthday. His birthday is in January so not long to wait. Plus both boys are wanting a joint party and guess what? Yes you guessed it, they’d like a small skate park party. Watch this space and my nails being bitten as I try to supervise the kids at that party! Truthfully, these skate parks seem great. The staff are there and fully trained, they were lovely when we have been. Having the scooters are quick and easy to jump in the car or scoot to school. Or just scooter around outside. 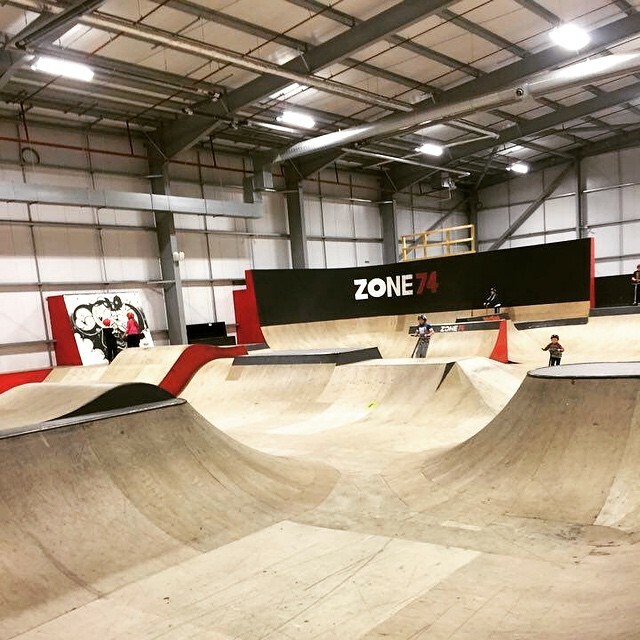 With the options of both indoor and outdoor skate parks it takes the fun to a whole new level as the child gets a bit older and more confident. I’ve had a little shot on their scooter, to test it of course and it is a lot of fun and looks great. How do you feel about skate parks? Any experience to share with me? Disclaimer:- I was sent a Madd Gear Pro Scooter, but all words and thoughts are my own.